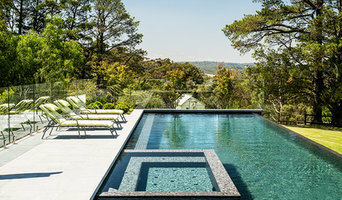 Fluid Design is an award winning Landscape and Swimming Pool Design company that specialises in luxury residential properties and acreage estates. With over 20 years of industry experience our focus is creating stunning outdoor living spaces tailored to our clients’ needs, adding value to their lifestyle and property. 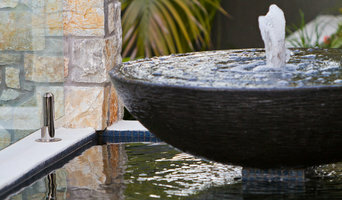 Every great pool and garden must first start with a great design. At Fluid Design we listen carefully to our clients' needs, nurturing every project as if it were our own and taking great pride in exceeding our clients expectations. We focus on creating a seamless integration of the indoor and outdoor living areas and believe that a well designed garden should improve your way of life for your family whilst adding value to your property by complimenting the style of the home and blending with the surrounding environment. We believe a garden should be your sanctuary, a place to unwind and enjoy. A garden should be a joy to look at and a pleasure to be in no matter what the season, and get better with age if designed, built and cared for correctly. 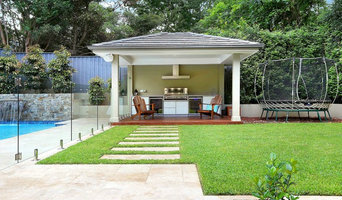 Multi award winning Brisbane based landscape designer creating beautiful, functional outdoor areas and landscapes . . . designing your perfect place. Award winning Melbourne Based Landscape Architecture Firm specialising in architectural residential landscape design which encompasses elements like Pools & Spas, Pool Houses & Alfresco's, Outdoor Kitchens, Tenis Courts & other landscape features. 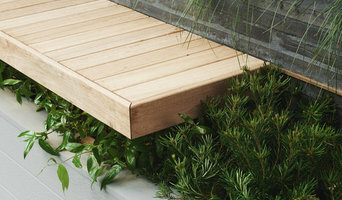 Our focus is on connecting nature to the homes architecture through softening emotive plant palettes that highlight the beautiful designer hard structures. Established in 2002, Space Landscape Designs is an innovative, award-winning landscape design company in Sydney. We excel in high-end, creative landscape and garden design projects and both residential and commercial, but have a particular passion for swimming pool landscape design. With years of experience, or landscape architects take an original approach to create all our designs around the understanding of the physical characteristics of the site, as well as the clients brief and budget. Each concept design is functional and visually and suited to our client's needs and lifestyles. Whatever the condition of your existing garden, no matter how large or small, Space Designs will have creative ideas that can transform your garden into an original and stunning space. The GOODMANORS vision is to expand the living environment in a way that instils a sense of belonging to nature – and expresses our clients’ place in it. To us, the garden is not an add-on to a residence, but a beautiful, functional, seamless transformation of it. With our team of experienced designers, architects and builders, we’ve developed a total approach to the design, planning and execution of our projects. In partnership with our clients, we guide them from design through to build and beyond, sharing our expert, practical vision, with the freedom for them to participate in creating their ideal retreat. Tim Davies Landscaping (TDL) has been an award-winning style leader in the Western Australian landscaping industry for over 30 years TDL offers landscape design, construction and maintenance under one roof. Our passion is creating individual and unique designs that suit your lifestyle and ensure that your garden is for life. Mondo Landscapes is an award winning Landscape Design company. We create lifestyles, not just gardens. We design with purpose and meaning, providing the best design solution for your space-there is no such thing as one design fits all. The outdoor room, we feel, provides many things - a haven from the outside world, a place to stimulate your senses through the interplay of colour, texture, structure, form and movement. A space for you to relax or to enjoy with family and friends. Mondo Landscapes have the ability to transform your visions into reality, making home your ultimate destination. At Quercus Gardens, we believe in beautiful gardens. We create inspiring outdoor spaces which suit your lifestyle by listening very carefully to your hopes and dreams, plans, expectations, likes and dislikes. We know that every garden is unique and we tailor a solution that will delight you, making the most of the space you have. We will leave you with a garden that changes forever how you use your outdoor space. Outscape's vision for every design is for sustainable and easy to care for landscapes that suit the climate, soil quality, water availability and resources available to the client. Servicing throughout Central West, South West and Western NSW, as a mobile business, as landscape architects we have a reputation for listening to clients and developing ideas to suit each client's vision. Outscape offers a unique stand alone, or initial service, of on site advice where over two hours on site, with the client, rough plans can be provided with notes on soil, surfaces and plants can be given where the client keeps the original copy of any plans for their own reference. Many clients have used this alone to create their dream gardens. Outscape's creativity stems from the brief provided by the client, and full involvement in the consultation process is encouraged. Because Outscape does not stick to a particular style, every landscape design is unique, and a reflection of the client's individual needs. Outscape delivers projects working in with teams of architects, heritage architects, engineers, draftsmen, surveyors and landscape contractors to achieve wonderful results for clients. Founded by Grant Boyle in 2015, Fig Landscapes was established with one goal in mind; to create functional, sustainable and beautiful gardens that reflect our clients’ tastes and enhance their lifestyle. After a decade working in the Landscaping industry for some of Sydney’s leading Landscape and Building companies Grant set out to create a business that enabled him to express his broad range of skills in both design and construction. “Gardens are a place of connection. Every time we enter our garden we are connecting, be it with friends and family, nature or even yourself. At Fig Landscapes we pride ourselves on helping clients achieve their connection”. We deliver excellent customer service, well considered design, the highest quality construction, and professional garden maintenance to ensure your garden will last a lifetime and is always looking its best. Garden Designers: Est 2002. Benjamin Carter designs, creates and maintains extraordinary gardens in Melbourne and Kyneton, Victoria. We complement existing spaces, and identify & overcome under-performing areas to maximise your outdoor living space. We create modern landscapes incorporating outdoor wall art, decking & paving, sculptures, architecturally designed letter boxes and laser cut privacy screens, transforming your indoor-outdoor living areas into creative spaces in Melbourne. Let us tackle your design brief with enthusiasm and fresh ideas. Let us help you re-define your outdoor areas by using our experienced design and garden construction knowledge. A beautiful garden can transform your home - it makes guests feel welcome upon arrival, is your retreat after a long workday or week and it provides an area to socialise with friends and family. Our outdoor space has such a profound impact on our lives that famous Australian landscape designers like Jamie Durie have gained celebrity status. If you have decided that your garden needs a facelift, consider using the Houzz directory to find and hire a landscaping professional to help bring your ideas to life. Landscape Architect or Landscape Designer? Landscape architects and designers can design and plan gardens, swimming pools, paving, decking and more. Their disciplines are slightly different though, so depending on what your needs are, you may want to choose one over the other. Landscape Contractors & Gardeners, Garden & Landscape Supplies, Arborists & Tree Services, Lawn & Sprinklers and Decks, Patios & Outdoor Structures may also complement the work of landscape architects & designers. Let’s start by taking a look at the differences. Landscape architects typically hold advanced degrees in their field, are trained to develop comprehensive structural plans that include plants, hardscaping, water use and drainage. They can also design any structure that will be added to the landscape, such as sheds, gazebos, retaining walls and other garden features. They work primarily through design drawings and collaborate with other professionals such as architects and tradespeople to ensure the house and landscape work in harmony together and the landscape construction is based on individual needs, the climate, site conditions and the activities that will be performed in the space. They are also required to evaluate grading plans and technical details for drainage, materials, finishes and layout dimensions. Like building architects, they will produce preliminary concept drawings as well as detailed construction documents. 3-D renderings and illustrative plans are all supplementary. Landscape designers generally specialise in aesthetics and horticulture, rather than structural garden design and planning. Keeping in mind both style and functionality, landscape designers analyse your architecture and yard to produce a plan that may or may not include location and materials for walkways, patios, water features, fences, garden aspects and more. In addition, a garden designer will carefully assess your geographic region to choose plants, trees and flowers that will flourish naturally, as well as address concerns such as drainage, screening and soil conditions. Certain landscape designers only help with landscape planning, some may deliver the plans and then oversee a hired landscape contractor, and others – typically following a design-build approach – take care of both the design and all aspects of the landscape construction. Houzz is a great place to start your search for the right landscape architect or designer. You can either browse outdoor photos and find professionals linked to them, or you can browse our professional directory, see their latest projects, read reviews, and narrow down your search based on your style preferences. Once you’re down to a few, reach out and get some quotations to make your final choice.